Delighted Fence Friday: Hold 10 Version! I was wiling away the hours, daydreaming wishing I was on a tropical island and idly flipping via photographs from a trip to Maui in 2005. Up popped this image! I experienced overlooked all about this photo! This is surely the coolest fence I have just about every witnessed! We arrived on this fence as we have been driving up to Mt. Haleakala. I thought I might Google this fence. 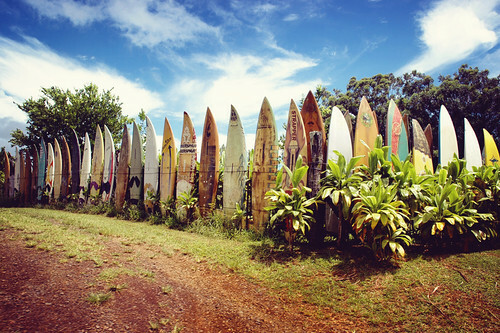 Turns out there is a web-site: Maui Surfboard Fence. Apparently, there are all around 700 surfboards in this fence and in 2009, the fence created it into Ripley”s Feel it or Not!! Random Point: While exploring this fence, I observed this weblog article: The World’s Craziest Fences. There surely are some ridiculous fences out there! I am type of happy they are not in my community. I am thinking they would not be quite useful in boosting property value! The bra fence kills me! !